NEW YORK (Feb 19): Wall Street ended little changed on Friday, as Applied Materials helped lift the tech sector and offset a renewed drop in oil prices, with major indexes capping their best week of the year. The Nasdaq rose, helped by a 7 percent jump in Applied Materials shares after the chip equipment provider gave a strong profit and revenue forecast for the current quarter. Buoyed by big gains on Tuesday and Wednesday, the major indexes posted their best weekly performances this year, with the Nasdaq tallying its strongest week since July. The S&P 500 remains down 6.2 percent this year, however, hurt by oil's prolonged slide and fears of China-led slowdown in the global economy. The performance of equities has been tightly linked with that of oil. The commodity's price fell 4 percent on Friday as record high U.S. crude stockpiles heightened supply concerns, and the S&P energy sector ended down 0.4 percent. Nordstrom shares dropped 6.7 percent after the department store operator's quarterly profit missed expectations. On Thursday, Wal-Mart Stores' tepid sales outlook had weighed on stocks. "We have seen oil come back off and that has put some pressure on the market," said Walter Todd, chief investment officer at Greenwood Capital Associates in Greenwood, South Carolina. "Some of these earnings that we have gotten out of the past couple of days from retailers have not exactly been confidence inspiring." The Dow Jones industrial average fell 21.44 points, or 0.13 percent, to 16,391.99. The S&P 500 lost 0.05 points, ending roughly flat, at 1,917.78. 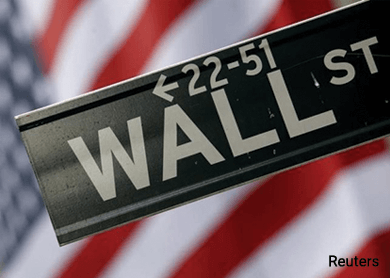 The Nasdaq Composite added 16.89 points, or 0.38 percent, to 4,504.43. Investors also digested data that showed rising rents and healthcare costs lifted underlying U.S. inflation in January, a sign of a pick-up in price pressures that could allow the Federal Reserve to gradually raise rates this year. Recent economic data related to industrial production and the labor market have encouraged investors about the strength of the U.S. economy. "We have had a lot of very concerning economic data in the first six weeks of the year, and I think over the last few weeks we have seen a significant improvement in that data," said Tony Roth, chief investment officer at Wilmington Trust in Wilmington, Delaware. Other corporate earnings reports dragged on stocks. Deere & Co shares fell 4.1 percent to $77 after the tractor maker cut its fiscal-year sales and profit outlook. Shares of rival Caterpillar fell 1.1 percent. Trinity Industries slumped 22.2 percent to $16.43 after the railcar maker's forecast missed expectations. Declining issues outnumbered advancing ones on the NYSE by 1,549 to 1,492, for a 1.04-to-1 ratio on the downside; on the Nasdaq, 1,540 issues rose and 1,238 fell for a 1.24-to-1 ratio favoring advancers. The S&P 500 posted 11 new 52-week highs and 4 new lows; the Nasdaq recorded 21 new highs and 54 new lows. About 7.6 billion shares changed hands on U.S. exchanges, below the roughly 9.3 billion daily average for the past 20 trading days, according to Thomson Reuters data.